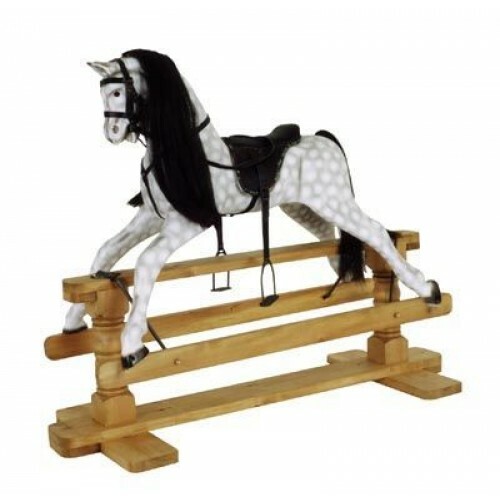 Handcrafted pine wooden rocking horse painted in the traditional victorian dapple grey and white finish. Glass eyes with natural horse hair for the flowing mane and tail. The bridle, reins and saddle are made with leather with brass metal stirrups. The swing stand is made from pine which is hand stained and waxed. Not suitable for under 5 years old.